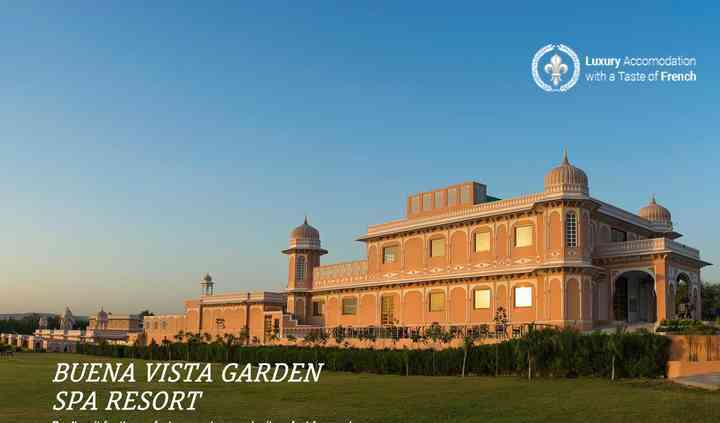 Located in the beautiful city of Rajasthan, Buena Vista Resorts is a beautiful hotel that is known for its luxurious looks and elegantly designed rooms. 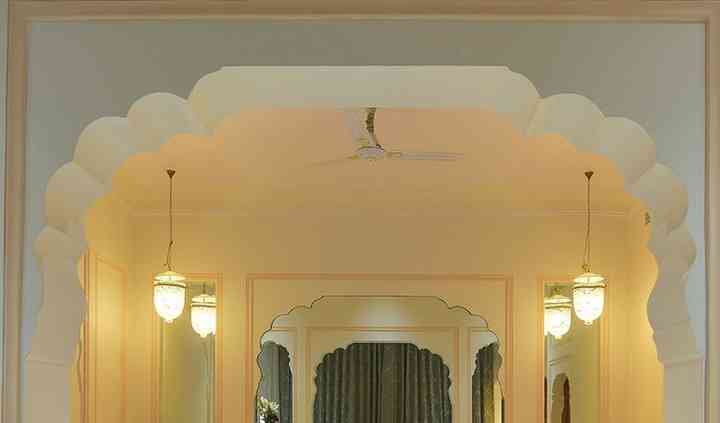 It is built in the form of a palace and truly provides an experience that will make you feel like royalty. It is very famous for its breathtaking ambiance and extraordinary services that they provide to all their guests. They also have rooms that you can avail and hence is the perfect destination for all pre-wedding and wedding ceremonies and functions. It offers every client with a sophisticated wedding venue, a hospitable professional staff to serve you throughout your wedding along with a multi-cuisine feast that you won't get enough of. 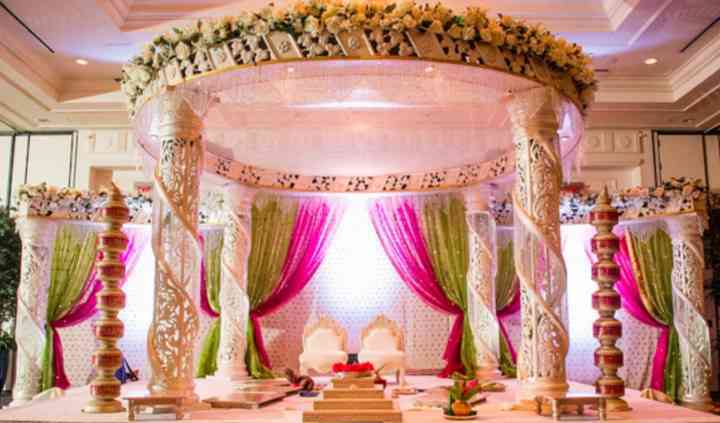 The venue has a number of capacious spaces where you can host all your ceremonies with ease and maximum comfort. It has a well-lit and tastefully done banquet hall, a lush green lawn, a terrace and a poolside for all your pre-wedding ceremonies. It also has a parking space available for 100 vehicles and can accommodate a total of 300 guests. It provides all the facilities that you will need to have a hassle-free wedding. Buena Vista Resorts offers a plethora of cuisines to fill your surroundings with an aroma that will definitely be hard for you to resist. The list of cuisines offered in their menu includes Indian delicacies ranging from North Indian to South Indian food, International cuisines like Italian, Continental, Mexican, Lebanese, Mediterranean, and Asian delicacies as well.